There are times when installing a new AC coil to existing duct work can be simple and times when the task can be difficult. Usually you can get the proper cased AC coil for the furnace you are installing and either easily transition the duct to the existing duct line or you can have a custom plenum made fitting the coil to the furnace. Posted on June 28, 2013 by Kevin Raymond and filed under Air Conditioning, Cooling, Fabrication, Duct Tips, HVAC, Sheet Metal and tagged AC coil Duct Transition HVAC sheet metal fabrication custom sheet metal duct work. 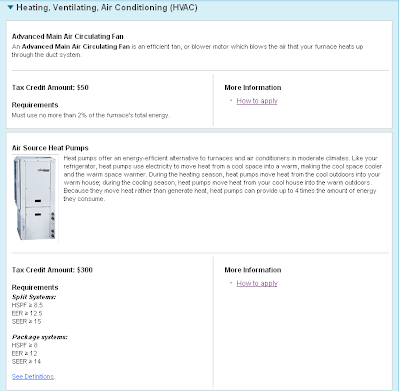 Many customers ask about tax credits and rebates that may be available on air conditioning units and furnaces. 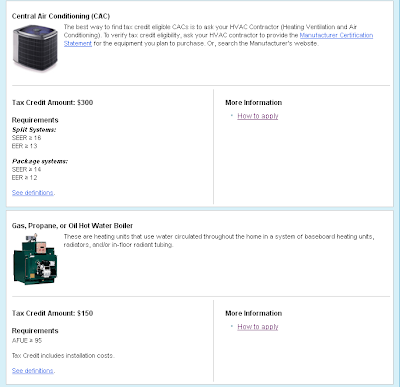 So I thought I would post the 2011 tax credits that are available from Energy Star for HVAC applications. A few include $300 for a new central air conditioning system, $150 for a new natural gas, propane or oil furnace and $150 for a new gas, propane or oil hot water boiler. Below are screenshots of the current tax credits available. Just click on any and it will take you to the Energy Star website for more details and how to apply. If you live in the Glens Falls, NY area and are looking for a quote on a new gas furnace or central air conditioning system, go to www.kesheetmetal.com to call or send us an email. Posted on April 11, 2011 by Kevin Raymond and filed under Air Conditioning, HVAC. One thing that could help jump start the HVAC business here in the Northeast is a bill being introduced to the Senate by Sen. Jeff Bingaman, D-N.M to update the efficiency standards for many appliances and building systems, including furnaces, heat pumps, and central air conditioners. Titled the “Implementation of National Consensus Appliance Agreements Act of 2011,” or INCAAA, the bill (S. 398) divides the nation into three regions with different efficiency standards for each. It also recommends more stringent building codes for new construction. The INCAAA bill is based on the consensus standards agreement signed in October 2009 by major industry associations, including the Air-Conditioning, Heating, and Refrigeration Institute (AHRI) and more than a dozen individual furnace and air conditioner manufacturers. The last time standards were changed here in the Northeast there was a number of customers who had to upgrade their cooling systems to 13-seer systems. This was good for many companies in town because some of these smaller upgrade jobs are a major source of business for many smaller firms in this area. This time the changes focus more on the % efficiency of your furnace and will mean that customers may need to change out their current furnace. This should provide a much needed uptick in smaller jobs for many micro and small HVAC contractors in the Northeast. The INCAAA bill divides the United States into three regions: North, South, and Southwest. Specifically, the North region comprises states with population-weighted heating degree days (HDD) equal to or greater than 5,000; the South comprises states with population-weighted HDD less than 5,000; and the Southwest comprises Arizona, California, Nevada, and New Mexico. According to an AHRI fact sheet, in the North region, most furnaces will be required to have an AFUE of 90 percent or more, an increase from the current national standard of 78 percent. In the South, central air conditioners will be required to have a SEER of 14, up from the present national requirement of 13 SEER. 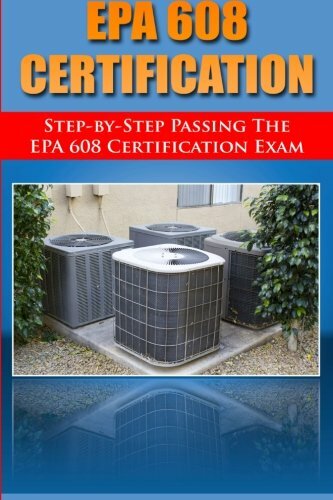 Heat pump and oil furnace standards will rise on a nationwide basis. Also helping business would be the nationwide rise in standards for oil furnaces and heat pumps. Many customers here in the Northeast rely on oil as their main source of heat and are stuck with outdated furnace systems that would need to be changed. The big question is if the bill that has been introduced will even pass. According to the article, if the bill was a rare standalone bill, it would pass without fail. However, if the bill is attached to something with some stronger opposition there could be complications getting the bill through the Senate. The next step, if the bill does pass the Senate is the House of Representatives before the bill could be signed and the standards would go into effect. Posted on April 3, 2011 by Kevin Raymond and filed under Air Conditioning, HVAC, News. Our input costs are rising. Gas prices are hovering around the $3 level again and metal prices have been rising albeit slowly. Then today I read the AK Steel (AKS) quarterly earnings report and find that they are warning against inflation in the manufacturing sector due to a rise in iron ore prices. Hence, prices will continue to rise throughout the year. AK Steel said it assumes global iron ore prices to rise 30% over the January to March period. If prices go beyond that, the company said it would hurt its financial performance for the second quarter. At the start of the year, iron ore suppliers Vale SA and BHP Billiton changed the way they structure iron ore contracts, setting prices on a short-term rather than annual basis. This week, Credit Suisse analysts upped their average 2010 price target on iron ore by 56% to $129 per ton. Prices for raw materials are rising as the world economy slowly recovers and consumer spending on cars and appliances picks up. The main problem with our business lately has been customers. People are hoarding their money in this area and unless the summer temperatures are sweltering, I don't feel like business will pickup significantly. The rise in input costs is just another punch to the gut. You can only cut so many costs and find ways to save money until everyday fixed costs (Rent, phones, gas, metal etc.) begin to weigh on any profits. Profits by the way that will solely contribute to a debt that was incurred during the hardest times over the last two years. I'm crossing my fingers for an air conditioning boom summer. Something that we didn't have last year. Posted on April 20, 2010 by Kevin Raymond and filed under Air Conditioning, Customers.